"Hammock Bliss Single is ready to take you anywhere. Weighing in at only 17 oz but with more space than a double size bed, Single Bliss is the perfect hammock for one person. 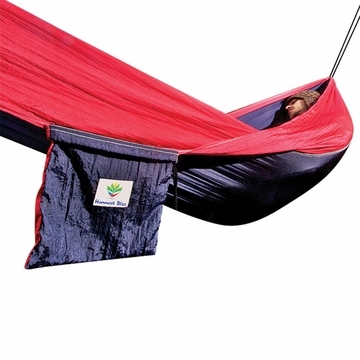 So comfortable you’ll feel like you're floating on a cloud, this hammock is a dream come true for backpackers, campers, kayakers and travelers alike.